Put items away gives your maid chance to give you a complete cleaning service. Putting items away before your cleaning professional arrives allows your cleaner easier access to surface areas that need to be cleaned. This could be as easy as putting dishes in the sink or picking up toys from the floor. Put animals away or discuss with your cleaner if you cannot (don’t let them surprise each other). Remember to have your pets secured and in a safe place before your maid service arrives. This not only helps your pet remain calm but also enables your cleaning professional to do their job more easily and without interruption, providing you with a more efficient service. Put private items and valuables away. Put valuables and items away that you would not wish to be disturbed or touched. This keeps your personal items protected, and ensures that these valuables will not be lost or damaged during your house cleaning. 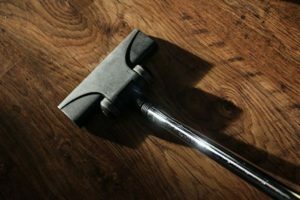 If you have concerns about your maid service, or certain areas in your home that require special attention, remember to speak up and let your cleaning professional know. Clear expectations help your cleaner provide a tailored experience and give you peace of mind knowing your specific needs are being met. Ask your cleaning professional how you can help them have a better work experience. Your cleaner may be too shy to ask to turn on the Air Conditioning during the hot summer. The family pet may be walking over the newly mopped floor while it’s still wet. Open communication is important to ensure a happy long-term relationship.